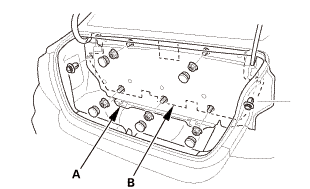 NOTE: The fuel tank must be replaced 15 years after its production date. Do the battery disconnection procedure. 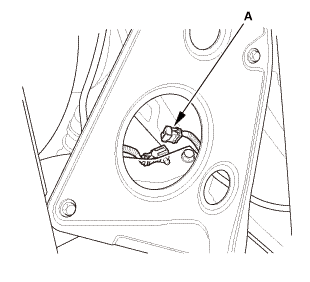 Slowly loosen the fuel supply line nut (B) going into fuel filter A. 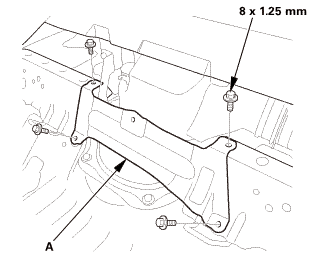 Continue to slowly loosen the nut until it is disconnected from fuel filter A. 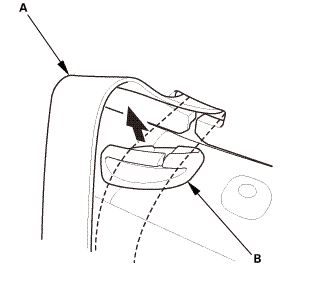 The nut may be difficult to turn at first, because of fuel pressure in the line. The fuel eventually escapes with a hiss. 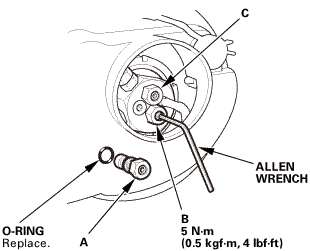 Always use two wrenches when removing or installing fuel line nuts. 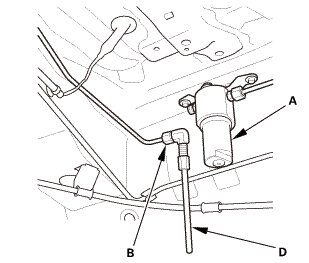 Loosen the fuel supply line (C) at the manual shut-off valve, move the end of the line away from fuel filter A, then connect a fuel vent tube (D) (available from the AH special tools department) to the end of the line. Vent the fuel in the line between the fuel tank and the manual shut-off valve by fully opening the manual shut-off valve. The small amount of fuel in the line should vent quickly with a hissing sound. The fuel flow should stop after a few seconds. 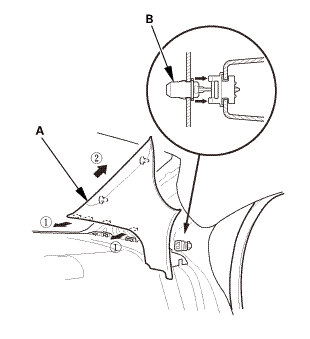 If the fuel flow stops within a few seconds, close the manual shut-off valve, and go to step 6. 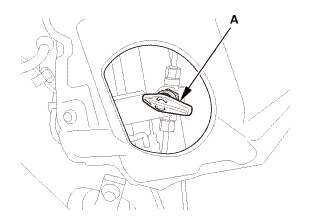 If the fuel flow does not stop within a few seconds, close the manual shut-off valve, then go to step 6 of At the fuel tank (If the fuel tank internal valve is stuck open). 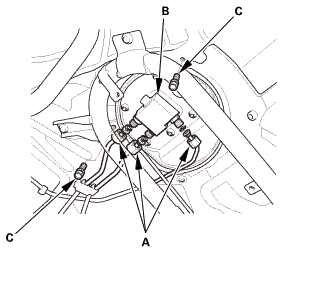 Attach one end of the ground wire (A) (included with the new fuel tank) to the fuel supply line. 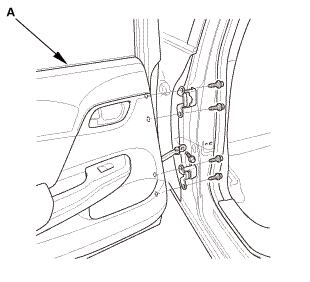 Route the other end of the ground wire into the vehicle, where it will not interfere with vehicle movement. 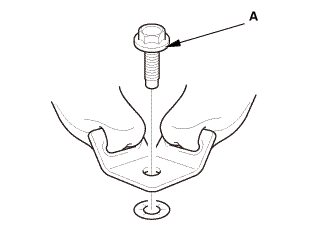 Slowly remove the manual lock-down valve (A) from the fuel line side of the fuel tank, then install a manual override vent tool (B) (available from the AH special tools department) with the allen bolt fully out. 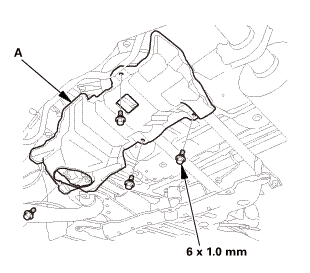 NOTE: Do not remove the valve (C) from the receptacle side of the fuel tank solenoid valve. With the help of an assistant, push the vehicle outside, near a metal water pipe or a chain-link fence, where the fuel can be safely vented. Attach the other end of the ground wire to the water pipe or to a chain-link fence post buried in the ground. This disperses any static electricity into the ground. 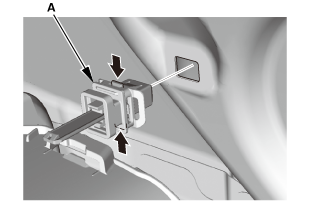 Using an Allen wrench, slowly turn the bolt in the manual override vent tool clockwise until the bolt stops. 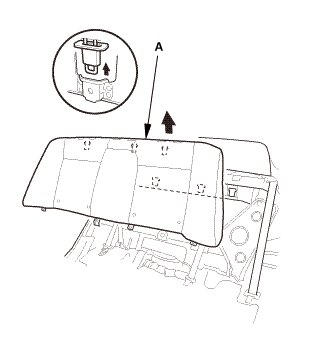 Vent the fuel from the tank by opening the manual shut-off valve. The fuel tank is empty when the hissing stops, or when fuel cannot be felt coming from the vent pipe. Once the tank is empty, close the manual shut-off valve. 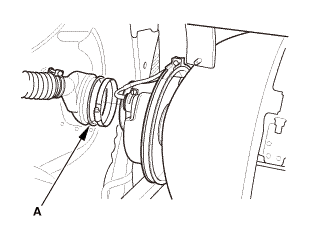 NOTE: Depending on the amount of fuel in the tank, fuel venting can take from several minutes, up to a few hours. 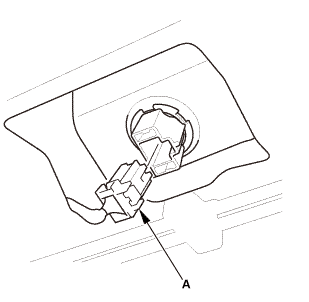 Remove the manual override vent tool, then reinstall the manual lock-down valve. 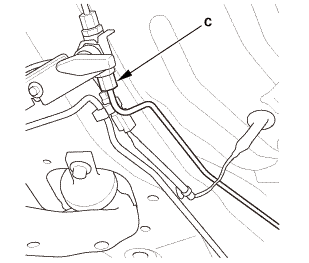 Reinstall the fuel line to fuel filter A with a new O-ring, then retighten the fuel line at the manual shut-off valve. Do the battery reconnection procedure. Purge any remaining fuel from the tank with compressed air. 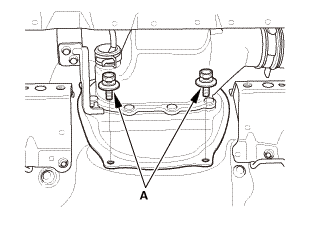 This procedure will allow you to safely work on any part of the fuel system downstream of the fuel tank such as the fuel joint block or the manual shut-off valve. NOTE: Make sure the manual shut-off valve is open. 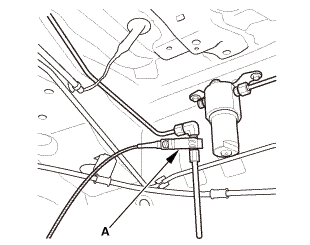 Disconnect the connector (A) (this prevents the tank from supplying fuel to the system). 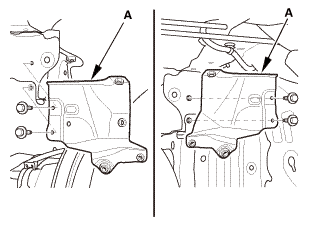 Remove the three fuel pipes (A) at the fuel joint block (B) and the two fuel joint block mounting bolts (C). NOTE: Always use two wrenches when removing fuel pipe nuts. 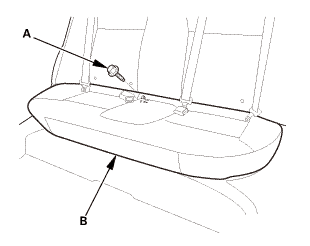 Remove the left rear door assembly (A). 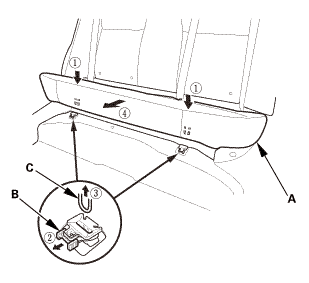 Remove the center seat belt buckle bolt (A) at the floor. 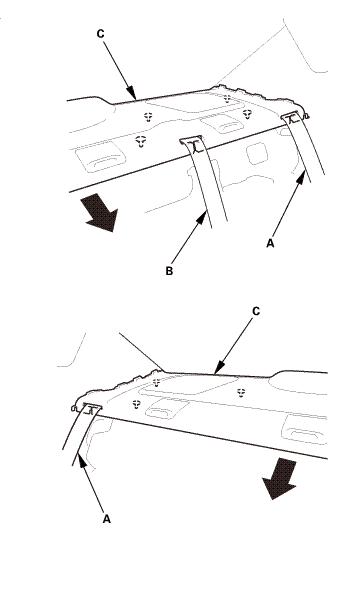 Remove the fuel tank protector (A). 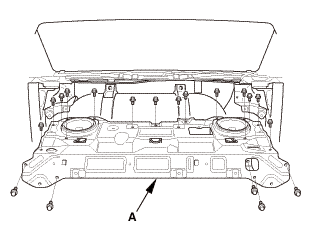 Disconnect the speaker connectors, and remove the rear parcel cover (A). 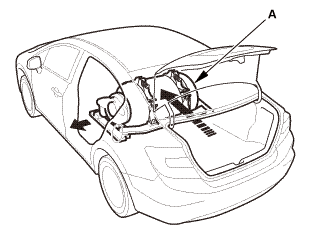 Remove the rear shelf gussets (A) in the trunk. 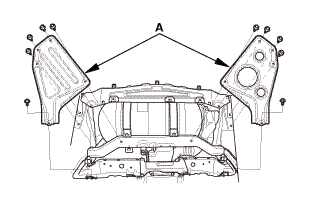 Remove the rear floor upper crossmember gusset (A). 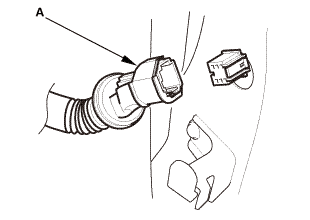 Disconnect the vent hose (A). 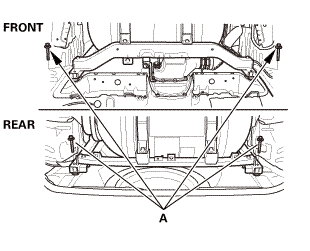 Remove the tank frame mounting bolts (A). 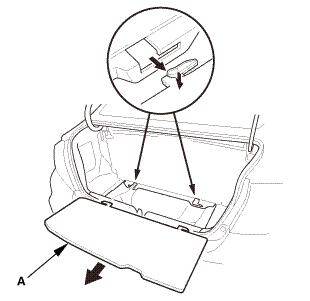 Push the front seats forward, then cover the seats and the floor with a tarp or similar material. 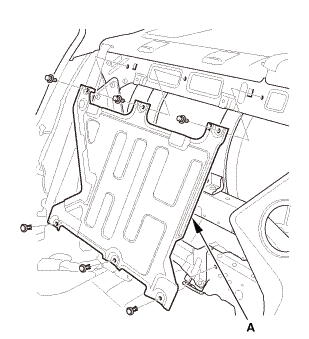 With the help of two other technicians, lift the frame, and slide the entire fuel tank assembly (A) into the passenger compartment. Be careful not to damage the fuel joint block. 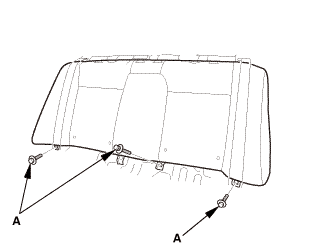 Rotate the fuel tank so the fuel joint block and the frame can clear the left rear door opening, then carefully remove the fuel tank assembly from the vehicle. Dispose of the fuel tank according to your local regulations.